The index ended 1,086 points higher at 22,878 in the last hour of trade, an increase of 5 percent over Monday’s abbreviated session. It is the biggest ever point jump in history, according to The Washington Post. The tech-heavy NASDAQ, also rallied, up 5.8 percent to close at 6,554. The S&P 500 also posted huge gains of 5 percent marking a solid performance across key U.S. industries like retail, which reported bullish holiday sales despite the government shutdown. The markets were closed on Tuesday because of the Christmas holiday. The market tends to make more dramatic moves on holidays because volume is lower. Traders are on vacation, resulting in fewer trades in general, so each move can be more dramatic than on a normal day. 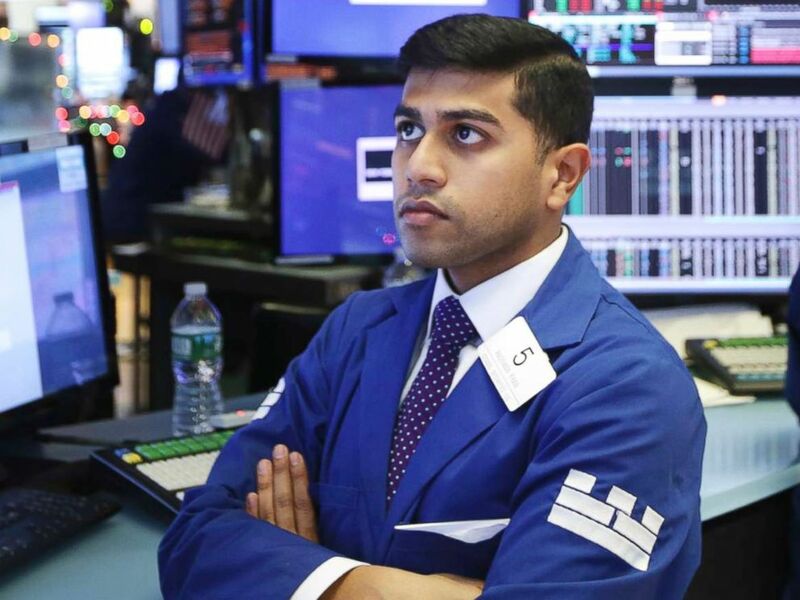 Specialists work on the floor of the New York Stock Exchange, Dec. 26, 2018. Investors were initially buying on the dip, or taking advantage of lower or cheaper stock prices, pushing the market up. 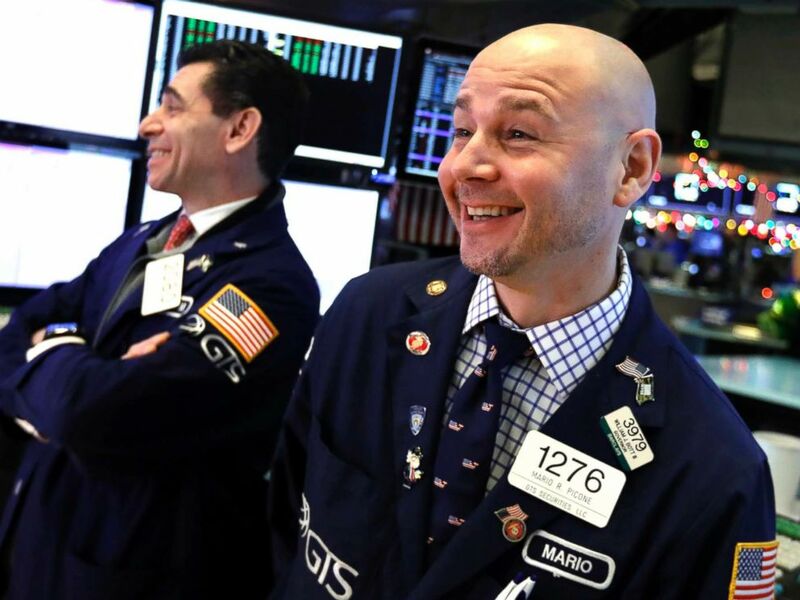 “The markets declined about 15 percent for the month of December and this is pulling risk-seeking traders into the markets,” Michael Matousek, head trader at U.S. Global Investors told ABC News. “Should the S&P 500 trade above 2411 in the next day or two I would not be surprised to see more investors incrementally adding to their holdings,” he added. In addition, White House economic adviser Kevin Hassett told reporters the fundamentals of the economy are sound. Hassett said that Treasury Secretary Steven Mnuchin’s job is “100 percent” safe, as is the position of Federal Reserve chairman Jerome Powell, whom Trump has blamed for the recent downturn in the markets. Hassett called Powell’s position “absolutely” secure. The S&P 500, which also touched bear territory on Monday, traded higher, in tandem with the Dow. The index of 500 benchmark companies traded 4.3 percent higher at 2,451. However, the trading session follows a generally poor December for stocks. Last week was the worst week for the Dow since the Great Recession. On Monday, the Dow had lost 10 percent in value over just a week ago. The markets were rattled by an unprompted announcement by Mnuchin over the weekend that the U.S. banking system was solid. The overall U.S. economy is still strong, despite an ongoing trade war Trump is waging with China, as well as worries about a government shutdown. While on vacation in Cabo San Lucas, Mexico, Mnuchin tweeted that he called the chief executive officers of J.P. Morgan Chase, Bank of America, Goldman Sachs, Morgan Stanley, Wells Fargo and Citigroup. His agency is one of the federal departments affected by the current government shutdown. The bank executives assured the Mnuchin that “they have ample liquidity available for lending to consumer, business markets, and all other market operations,” he wrote. However, because there were no prior concerns about the banks, investors panicked. Hassett tried to assuage the public fears about the economy in interviews on Wednesday.